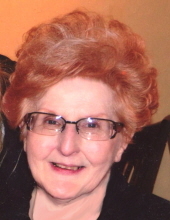 Patricia A. Bassett, age 80, a well-known and respected business owner in Toledo, passed away February 3, 2019, surrounded by her loving family. She was born March 15, 1938 in Miami, Florida to Brint and Sonnie (Pittman) Martin. Pat was a competitive Ballroom Dancer as well as an instructor and that is how she met and married the love of her life, Joseph Bassett Sr. She and Joe founded Bassett's Health Foods, which is still operating after 50 years. Pat's career as a Certified Nutritionist was born out of a personal search to heal her own body from aliments traditional medicine wasn't accomplishing. She learned that if she gave her body the nutrients to support her systems, the body's healing process was enhanced greatly. Her studies quickly turned into a burning passion to help others that were also searching for a more natural path to wellness. She lived this passion up to the very end of her journey, still working 6 days a week at 80 years of age. In addition to being a Certified Nutritionist, Pat was a Kelly Metabolic Practitioner, Certified Iridologist, Touch for Health Instructor and Naturopathic Medical Doctor (NMD). Pat's education and thirst for learning was her favorite hobby and was evident in the amount of reading she did her entire life. Her extensive library is filled with the very books she used as research to help the thousands that have turned to her for answers over the years. Her need and desire to help others was visible to every person that came in contact with her. She will be remembered as a kind, giving woman who carried herself with dignity and class, a loving mother and grandmother who would go without, so others would not have to. Pat is survived by her daughters, Charmaine Bassett-Trimm (Mark), Sabrina Early (Jeff); brothers, Ronald Martin (Beverly) and Brint Martin; 7 grandchildren and 7 great grandchildren. She was preceded in death by her parents; her husband, Joseph Bassett Sr. and son, Joseph Bassett Jr.
To send flowers or a remembrance gift to the family of Patricia A. Bassett, please visit our Tribute Store. "Email Address" would like to share the life celebration of Patricia A. Bassett. Click on the "link" to go to share a favorite memory or leave a condolence message for the family.